Bungie Aerospace is a Bungie label created to help small independent developers get their mobile and social games out there. 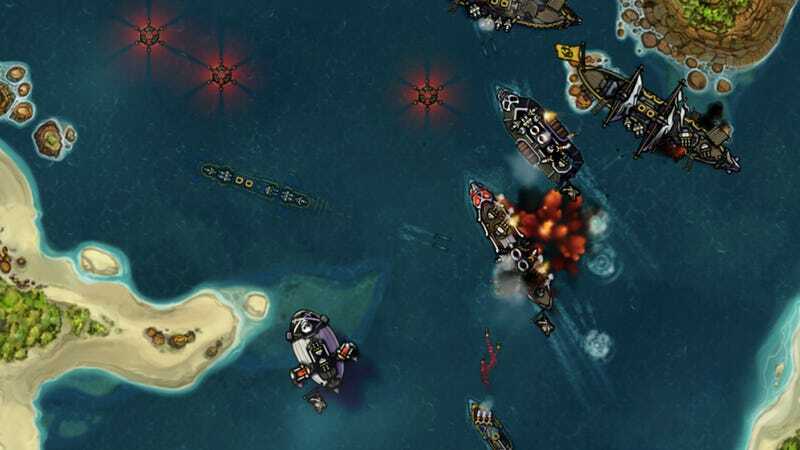 The first Bungie Aerospace title is Crimson: Steam Pirates from developer Harebrained Schemes. The game is a free iPad title, available for download starting September 1. The turn-based "steam pirate" strategy game will be playable at PAX this week. So if you are going, check it out. For more information about the game, visit the title's page at Bungie Aerospace.